We just started following My80sChildhood on Twitter, and she shared these Flickr links to her 1980s sticker book. Some really awesome stickers here. Trend (the round scented ones) were my favorite, but I remember so many of these. For some reason (colorful? ), gumball machines and rainbows were popular topics. So were unicorns and kittens. Do you remember any other popular trends in stickerdom? Which ones did you go for? 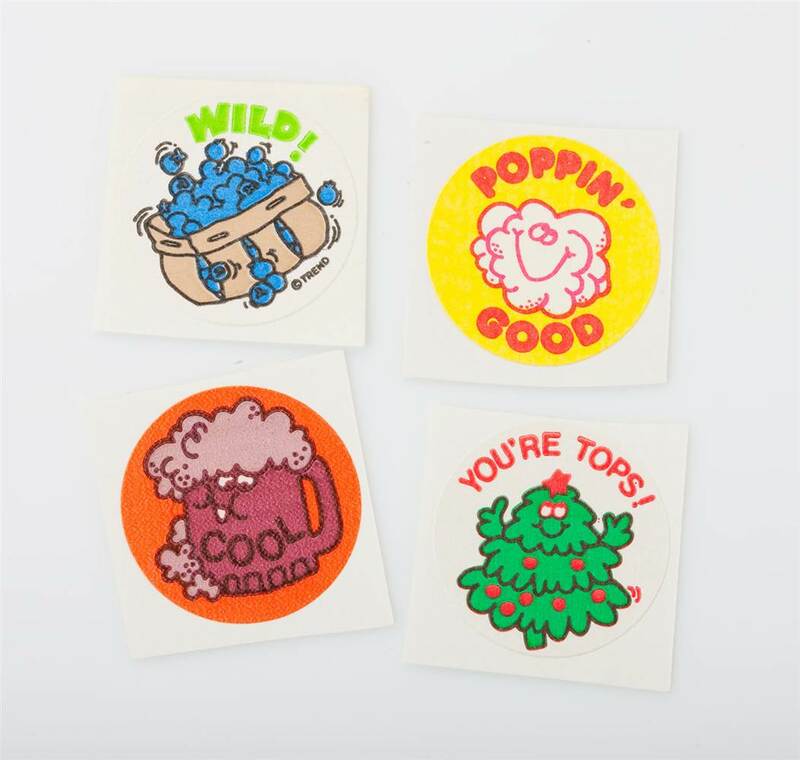 Puffy stickers were very cool. It seems that teachers loved to put the smelly stickers on school work papers you did well on. My faves were the popcorn and root beer smelly ones. remember the oily ones and the satin ones? I recently found my old stash of Lisa Franks circe 1982, along with some nifty scratch and sniffs.